WOW!!!! Today was the most humid day for hiking that I have encountered so far this year. At 5:20 am the temperature was already 66 degrees and the humidity was sky high. The forecast tonight is for thunderstorms so I guess the high humidity just comes with the territory! As a matter of fact, it was so bad that as I stretched before I even started hiking I was sweating profusely. Needless to say, the sweating never stopped! All in all it was still a great hike. 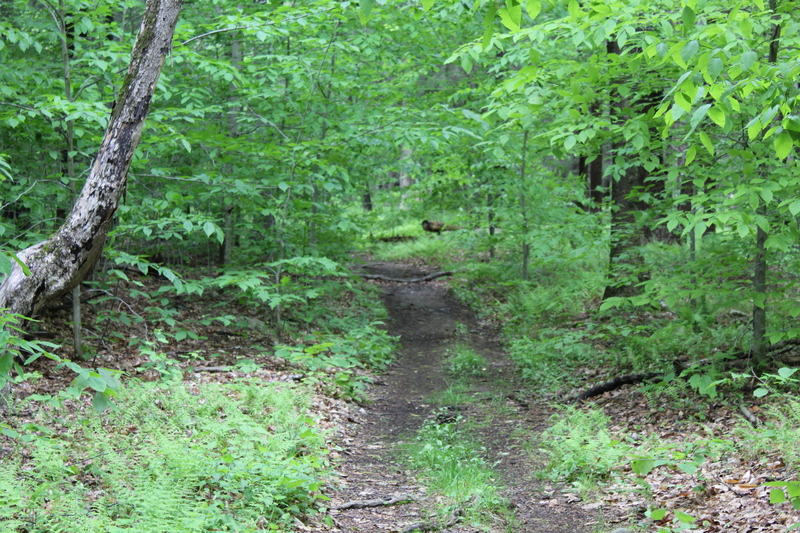 Another fine trail at Ward Pound Ridge Reservation. The trail was partially obscured by the brush on both sides. Early in the morning the peace and stillness of the woods is mesmerizing. This entry was posted in Uncategorized and tagged forest, Henry David Thoreau, Hiking, Hudson Valley Hiking, hudson valley ny, Inner Peace, landscape photography, peace, Photography, ward pound ridge reservation, westchester county ny on May 26, 2018 by The Zen Hiker.